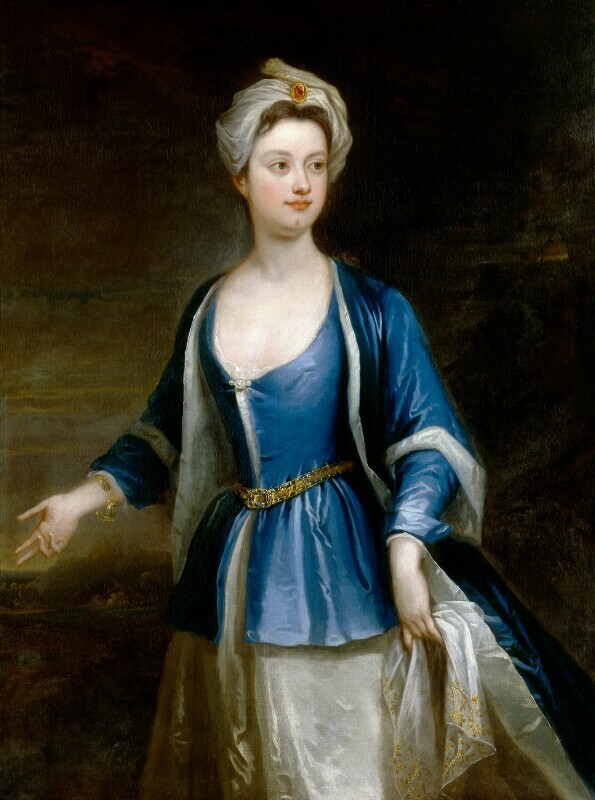 Dorothy Viscountess Townshend (1686-1726), Wife of 2nd Viscount Townshend. Sitter associated with 3 portraits. It was once thought that this portrait represented Lady Mary Wortley Montagu, the writer and traveller, who lived in Constantinople (Istanbul) between 1716 and 1718. We now know it is a portrait of the wife of Charles, 2nd Viscount Townshend. Like many aristocratic women of her time, Dorothy was not involved in public life nor did she travel abroad. Although she is shown in exotic fancy-dress, her identity as the wife of a notable husband is suggested by the miniature portrait on her bracelet. More detailed information on this portrait is available in a National Portrait Gallery collection catalogue, John Kerslake's Early Georgian Portraits (1977, out of print).